After a win over Trine University on January 4th, the Knights’ men’s basketball coach, Kevin Vande Streek, has won his 400th victory in his 21-year tenure at Calvin. Vande Streek has a long past with Calvin. 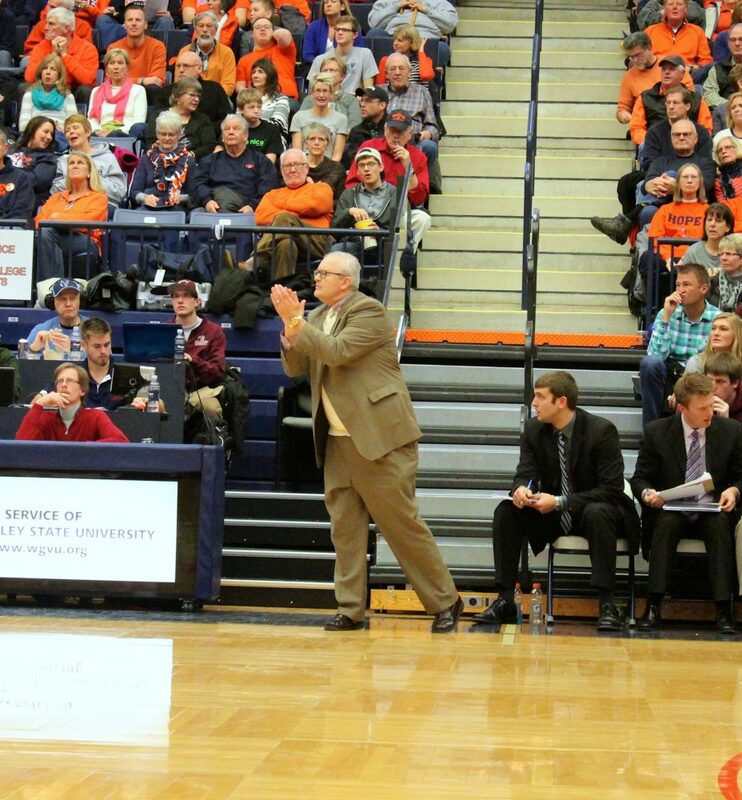 He began coaching the Calvin men’s basketball team in 1996. Since then, he has gone on to win eight MIAA championships. In 2000, Vande Streek added to his overall success by leading Calvin to its first NCAA III championship. With the addition of another two wins this past week, Kevin Vande Streek stands at 402-175 with the most wins in the men’s basketball coach history. The first half of the game against Triune was tense, but Calvin came out with a one point lead of 29-28. At the beginning of the second half, however, the Knights allowed the Thunders to score eight points within a short span of time. Calvin never regained the lead for most of the second half, but in the last five minutes, junior Mike Siegel and freshman Tony DeWitte both scored crucial three-pointers that helped close the gap. With the score tied 62-62, Calvin’s Tony Canonie successfully completed a layup to bring Calvin to the lead 64-62. However, after a timeout, the Thunders were able to tie the score again. With only eight seconds remaining, it seemed that the game would go into overtime. In the last few seconds, Canonie charged into the right side of Triune’s defense, and successfully scored a layup, resulting in a win.